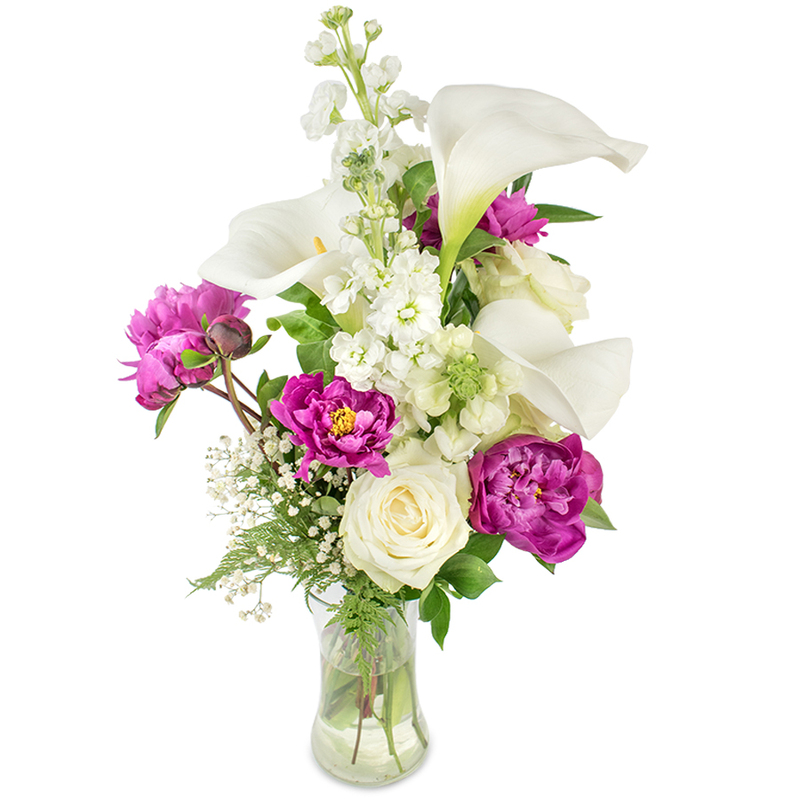 This truly romantic bouquets consists of fresh and vibrand purple peonies which are elegantly combined with white calla lilies, roses, stock and gypsophila. A classy gift to reveal your warm feelings! Marvellous arrangement! I rate their service as quick and reliable. I had the flowers delivered by post, their arrival was timely and prompt. I usually find flower arrangements to be outdated and formal. My wife, on the other hand, absolutely adores them! 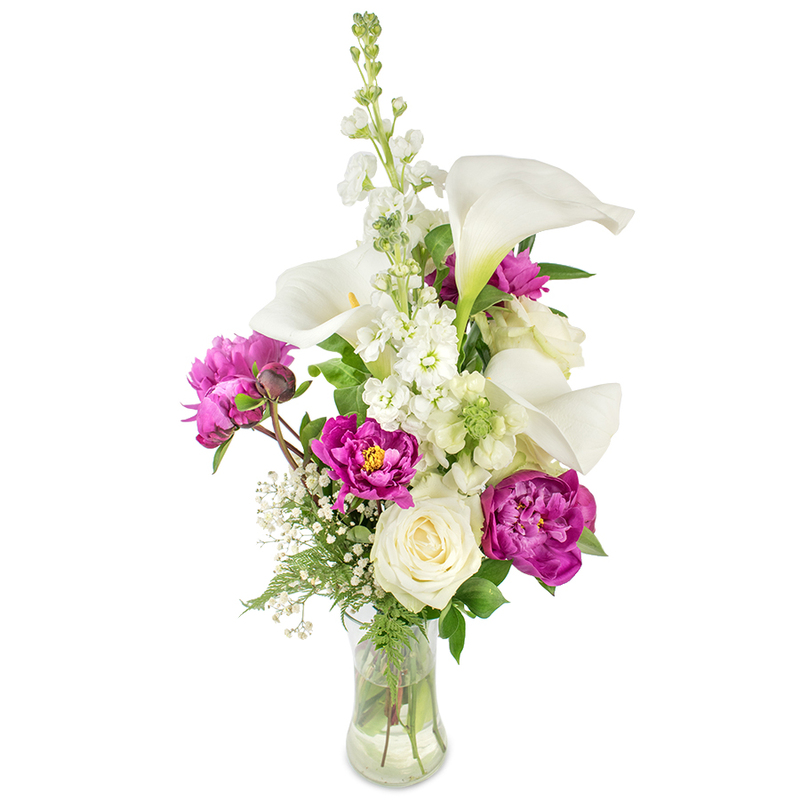 She recently ordered a bouquet of fresh flowers that she hoped would impress me. While I am yet to become a fan of flowers I must say this bouquet was very tasteful and modern and I am now more open to the idea of having flowers around the house. I love Handy Flowers. Their flowers are always splendid. The flowers I got yesterday were fresh and full of colour. Everything without a purple accent is boring for me and I`m so happy my boyfriend remembers that. Thank you for this beautiful bouquet! My favorite bouquet! It's magical! Received it this morning - no problems at all! Brilliant! Delivered the flowers on time. The flowers are truly amazing!!!! Received them this morning and I can't tell you how happy I am!!! Ordered this fabulous bouquet for a delivery in Birmingham and was pretty amazed by their services. Fast, easy and convenient!